Helen Rappaport's new book is a fascinating exploration of 1917 in Petrograd, the year of revolution, seen through the eyes of the expatriates living there. I've always been interested in Russian history but I knew very little about the progress of the Revolution from the perspective of the people living in Petrograd at the time. Caught in the Revolution is based on the memoirs & letters of the diplomats, journalists & nurses living in Petrograd during these tumultuous events. By February 1917 Russia had been at war with Germany & Austria-Hungary for almost three long years. The progress of the war had exposed all the problems of a pre-industrial society attempting to wage war in the modern age. Although Russia could put millions of men into the field, they were poorly equipped. Supplies had to be transported vast distances & the infrastructure just wasn't capable of keeping up with the demand. At the centre of the regime was the Tsar, Nicholas II, who decided to take control of the army, leaving the government in the hands of his wife, Tsarina Alexandra. Alexandra was disastrously dependent on Grigory Rasputin & made decisions about the appointment of ministers based on his advice. The government were unable to oppose Alexandra's wishes & Nicholas was too far away for appeal. Unfortunately Nicholas had faith in Alexandra & refused to change any of the appointments she & Rasputin made. Rasputin was murdered in December 1916 but, by then, it was too late to restore confidence in the government or the Tsar. The diplomatic community, led by the French ambassador Maurice Paléologue & British ambassador Sir George Buchanan, had tried to convince the Tsar that Russia was in trouble but he listened to their pleas politely & ignored them. The American ambassador, David Rowland Francis, had arrived in Petrograd in April 1916 & was still feeling his way into the post when trouble began. The situation came to a head in February when shortages of flour led to riots when supplies of bread ran out. Factory workers soon went out on strike & the Cossacks - the Tsarist regime's most loyal supporters - refused to fire on the strikers. Eventually they mutinied & joined the strikers. The strikes were brutally opposed by the police as the government stood helplessly by & the protesters were emboldened by the restraint shown by the soldiers. American journalists Florence Harper & Donald Thompson found themselves in the middle of several protest marches & were impressed by how good-humoured the marchers were. Thompson had to be careful when taking photos not to be mistaken for a member of the secret police, who were the only people attracting the anger of the crowd. Eventually violence broke out when a group of protesters ransacked a pastry shop & the police responded with machine gun fire. The government was paralysed by a lack of leadership & attempts to convince the Tsar of the seriousness of events were unsuccessful. When Nicholas did decide to return to Petrograd, it was too late. Mutinying regiments blocked his train & he was convinced to abdicate. The Provisional Government, led by Alexander Kerensky, was welcomed by the people, who expected immediate relief from all their problems. Workers went back to their factories demanding higher wages & shorter hours; citizens expected that food shortages would end; soldiers & sailors who had mutinied & shot their officers seemed to have forgotten about the war altogether. Kerensky struggled to keep his government together & was under threat from the more radical Bolsheviks led by Lenin, who had returned from exile. As a symbol of just how much had changed, Lenin set up his headquarters in the Kschessinska Mansion opposite the British Embassy. The mansion had been built for Mathilde Kschessinska, former prima ballerina & mistress of Tsar Nicholas. Kschessinska had fled to Paris just in time, leaving everything behind. By October, the unrealistic expectations of the people had collided with the ambitions of the radicals. Kerensky was overthrown & Lenin took charge. That's an incredibly short summary of the events of 1917. Helen Rappaport describes the political machinations very clearly but the core of the book & what I really want to focus on, are the eyewitness accounts because it's these accounts that make the book such compulsive reading. The Press were censored by the Tsarist regime so journalists & photographers like Harper & Thompson were frustrated in their attempts to tell the world what was happening. Nevertheless they kept recording the sights & sounds of those incredible months. As soon as the Tsar abdicated, censorship was lifted & they could get their stories out. 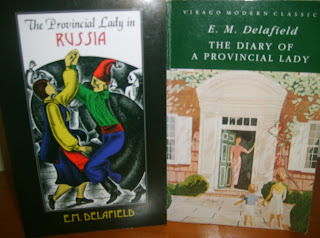 Many of the protagonists in the book also wrote memoirs after the events based on their diaries or the letters they wrote to family & friends at home. There are wonderful eyewitness accounts of events like the funeral procession to the Field of Mars near the Pavlovsky Barracks & the Summer Garden for the victims of the Revolution. Already propaganda had taken over truth as many of the victims had already been buried by their families & empty coffins or just planks of wood were carried in procession to represent them. Florence Harper had been to the morgues in the preceding days to see the pitiful sight of people searching among the frozen corpses for their loved ones. I loved the many intimate details of everyday life described in the book. The expatriates had just as much trouble staying warm, finding shelter & enough to eat as the locals. The fact that they were foreigners often made it more difficult as they were suspected of being spies & traitors. The descriptions of the bitter cold, the dreadful food & the lack of basic necessities highlight the chaos of the times. Sir George Buchanan's wife, Lady Georgina, & daughter, Meriel, continued their charity work as did other women, often nurses & governesses who found themselves trapped in Petrograd. Revolution didn't stop the inevitable friction between competing charitable enterprises as Lady Georgina's hospital was eclipsed by Lady Muriel Paget's Anglo-Russian Hospital which had been opened in 1916 by Dowager Empress Maria Fedorovna & her granddaughters, the Grand Duchesses Olga & Tatiana. The chaos meant that it was difficult to know what was happening, who to trust, how many people had been killed & sometimes, just who was in charge. Nurses like Dorothy Seymour & Lady Sybil Grey struggled with the difficult working conditions, the fear & uncertainty but admitted that they wouldn't want to be anywhere else. They were seeing history unfold before their eyes. Among the many unknown witnesses were some famous people. I had no idea that Emmeline Pankhurst, accompanied by Jessie Kenney, travelled to Petrograd at the height of the revolution to advise & support Russian women (whether they were particularly grateful for her advice was another story). She sympathized with the revolutionary cause but also wanted to convince Russia not to abandon the war. She was especially impressed by the women who were serving in the Army in a newly formed Women's Death Battalion, commanded by Maria Bochkareva. Somerset Maugham was there, on a secret mission from the Intelligence Services to prevent the revolution & keep Russia in the war - rather a tall order! Hugh Walpole was there, working in propaganda at the British Embassy. Most famous of all in later years were John Reed & Louise Bryant. Reed's account,Ten Days that Shook the World, has been influential in how the Revolution is remembered in the West but Rappaport demonstrates how much more can be gleaned from looking further. Caught in the Revolution is an exciting story that I found impossible to put down. I read it in two days, caught up in the drama of the times & the stories of the people I came to know so well. Helen Rappaport handles a large cast of characters expertly; I've only mentioned a few of the many expatriates whose experiences she weaves into a compelling tale of this most crucial year in the history of Russia & the 20th century I follow Helen on Facebook & I was surprised to read last week that she's having difficulty convincing TV production companies to commission programs about the Revolution for the 100th anniversary in 2017. I can't think of a more dramatic event & this book certainly has more than enough personal stories to focus on. 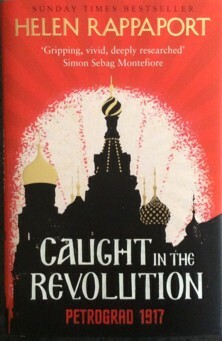 Hopefully the idea will be taken up & we can look forward to an adaptation of Caught in the Revolution next year. Her researches into archives in the UK & US are incredibly detailed; it's a subject she's been collecting material on for years. It's a really interesting angle on the events of 1917. Very excited about this one! Rappaport is such an informative and engaging writer and her other books about Russia have certainly been fascinating. I'm listening to her book about the four Romanov sisters right now and really enjoy all the different sources she draws on to get such a complete view of Russia at the time. I always enjoy HR's books & this one was a very different angle on the Revolution. I enjoy social history & personal stories more than politics although it's essential to understand the politics as well. CITR manages to do both.